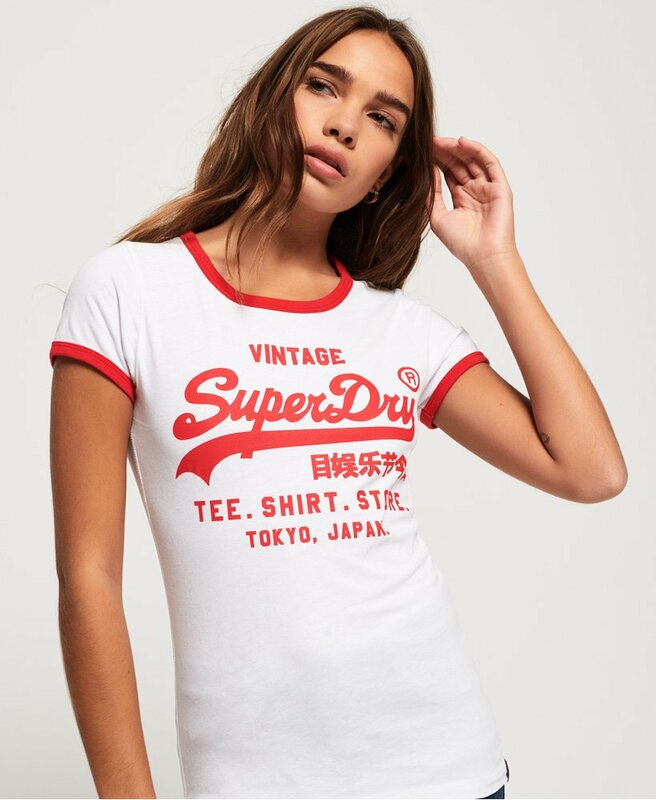 Superdry women’s Shirt Shop vintage tour t-shirt. A soft, cotton tee, featuring a coloured band along the neckline and sleeve, a Superdry logo across the chest and graphics on the reverse. This t-shirt is completed with a logo tab on the hem.